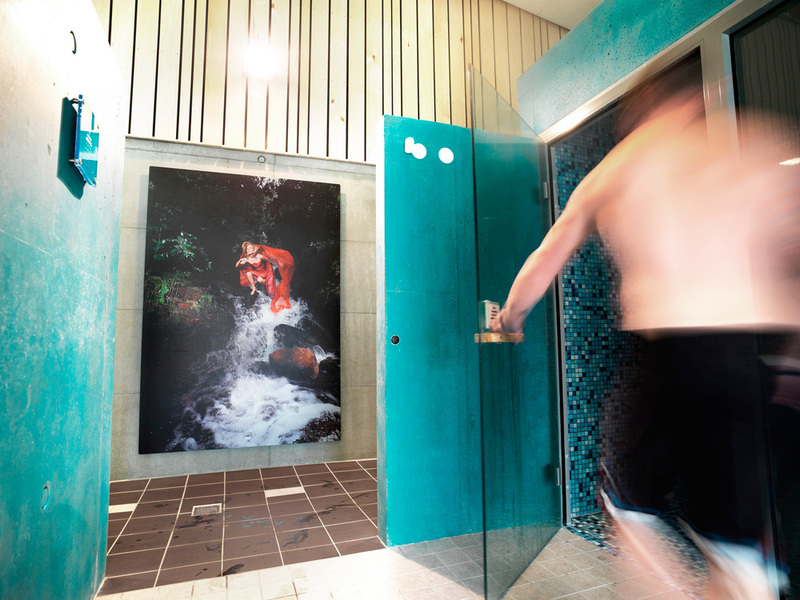 Early 2012, Thomas was contacted by the CEO of Lustrabadet with the request to create taylor-made artwork for the public pool and spa facility Lustrabadet. The pool was yet to be built, so there was enough time to first of all shoot the relevant themes that could both be used as commercial material and artwork inside the facility's hot and humid areas. In total, Thomas shot over 25 individual motives, inspired by the local environment and landscape. As the pool started to take shape, some images where also set to the pool itself, which made it interesting for the guests and easy to relate to as the prints where displayed right besides where they where shot. In total, 21 pieces are displayed in the building, both in the showers, wardrobes, sauna, restaurant and hallways. The biggest piece is over 8 meters tall, and is a part of the design of the diving tower.